Please select a size. 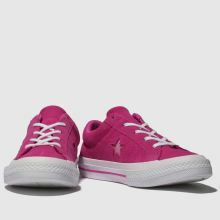 view smaller sizesUK 12 - Low StockUK 2 - In Stock Please select a size. 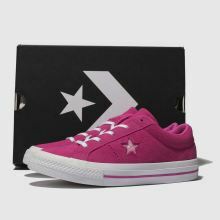 Arriving with that signature One Star flair, this kids' Converse Lo is a perfect addition to their collection. 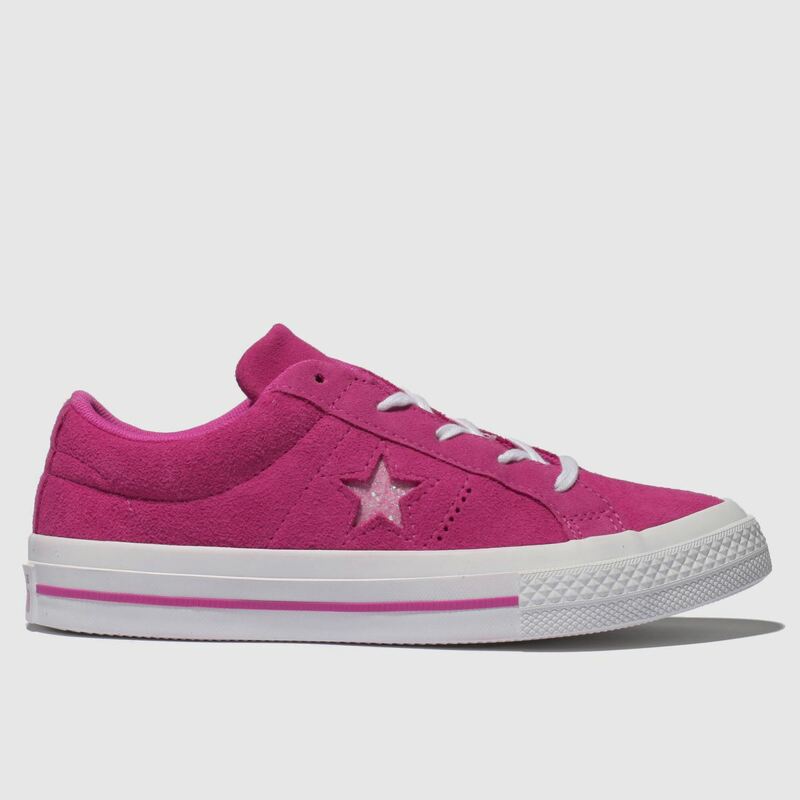 The trainer features a berry pink suede upper for a bold appeal while a metallic star cut-out adds a bit of glam. 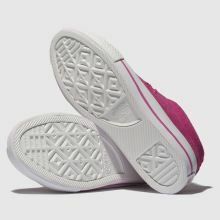 A classic vulc sole completes.